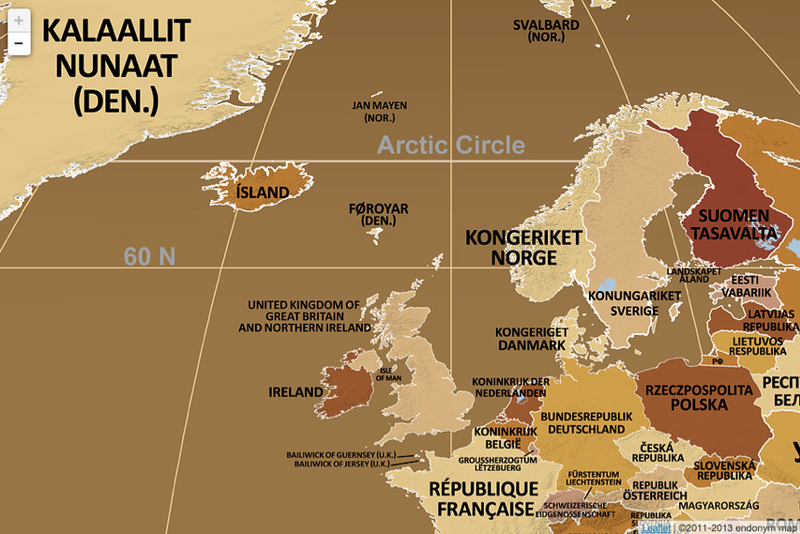 Here you can see how in local languages, country names can be quite different from their English versions. Finland is Suomen Tasavalta (Republic of Finland), Hungary is Magyarország, Greenland, in the native language West Greenlandic, is Kalaallit Nunaat. In Sango, the primary language of the Central African Republic, the country is called Ködörösêse Tî Bêafrîka. Country names are given in the country’s primary writing system. 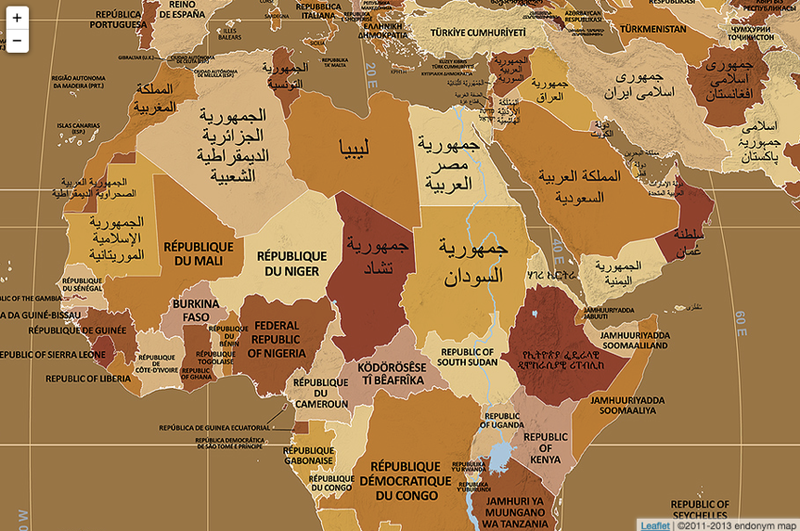 On the map of Africa you can see Arabic and Ethiopic script. The Republic of the Marshall Islands in Marshallese is Aolepān Aorōkin Majeļ. The Independent State of Papua New Guinea in Tok Pisin, an English-based creole, is Independen Stet bilong Papua Niugini. 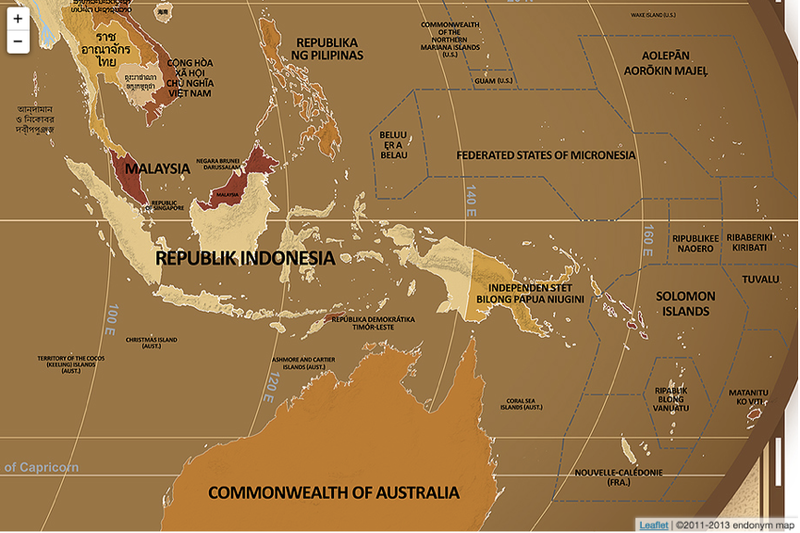 Of course, there are many potentially contentious issues involved in deciding what should be considered a country’s official name (or sometimes whether it should be considered an independent country at all) and primary language. 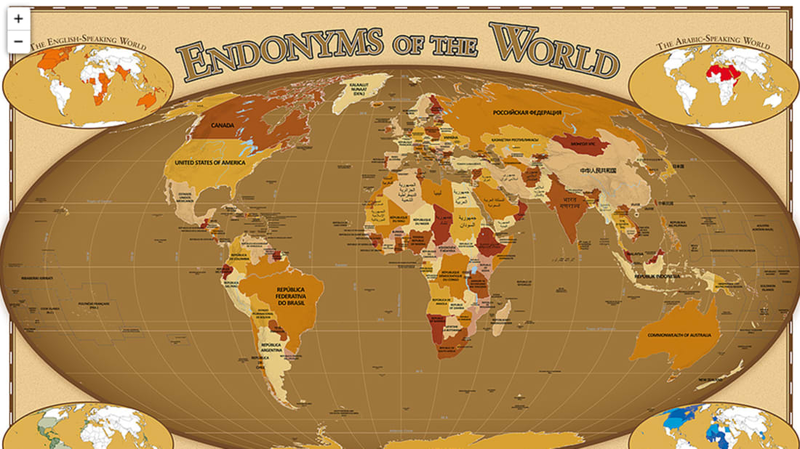 The creator of Endonym Map explains the criteria used in the project, and addresses many potential objections here. The Afternoon Map is a semi-regular feature in which we post maps and infographics. In the afternoon. Semi-regularly. We spotted this one in a MapPorn discussion over on Reddit.